If your little one has a dolls house just waiting to be lived in, Le Toy Van's wonderful Daisylane Doll Family are the perfect tenants. 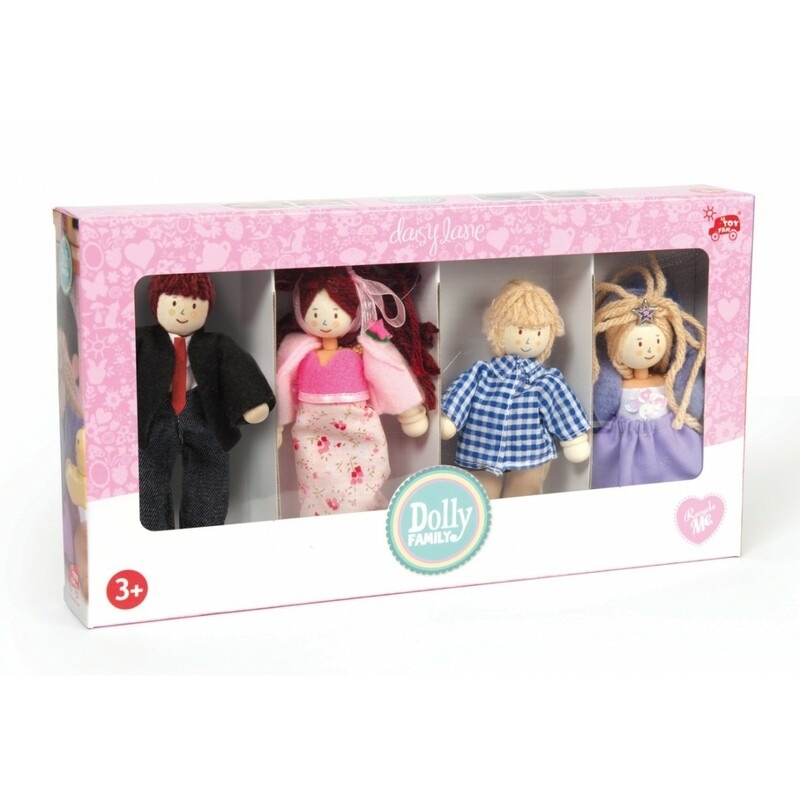 A wooden poseable doll family of four, each one dressed in hand finished clothes, they're exceptionally cute and really well sized for little hands. Beautifully detailed and made to last, this very cute family are the perfect addition to any of Le Toy Van's play sets - or lots of fun to enjoy just on their own. The Daisylane Doll Family are of a far higher quality than most dolls of this size - the difference is the attention to detail, not just in the dolls, but also in the clothes they're wearing. The dolls are perfectly scaled for Le Toy Van's dolls houses and play sets, so they work seamlessly with all the products in their range. The outfits the doll family are wearing are fantastically quirky - we really love the Dad's not that trendy suit (unlikely to be an Armani in our opinion), and the little girl's very beautiful lilac party dress! Age: 3 years and over.